Spinal Trap: Back 2 Good - Niall Music & Blissful Guided Meditation Enjoy the FREE samples below! Simply click these links to enjoy a free 2 minute blissful guided meditation! THANK YOU FOR YOUR PATIENCE WHILE THESE FREE SAMPLES LOAD. 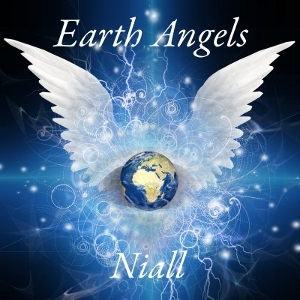 FREE Female voice sample with "Earth Angels" music: http://www.niallmusic.co.uk/MP3/grace.mp3 FREE Male voice sample with "Earth Angels" music: http://www.niallmusic.co.uk/MP3/niall.mp3 ﻿CD downloads of these albums for purchase are not currently available; please check back, thank you. THANK YOU FOR YOUR PATIENCE WHILE THESE FREE SAMPLES LOAD. "Total Serenity" aren't just music, they are a healing experience! Music is powerful. It can release endorphins that lift you, it can make you cry; it can break your heart or mend it. And as anyone who has watched "Jaws" knows, it can titillate and scare you as the infamous "duh dunt, duh dunt, duh dunt" does so well! Plus, back in the 70's & early 80's, having "Friends in Low Places" was just a phrase vs. a catchy little ditty that everyone loves! What I do know is that when severe chronic pain became the ruler of my life, I quit listening to all music. My once beloved stations of Top 40 pop, rock, jazz, new age, even classical, were silenced. I was in such agony that any noise was unacceptable. Classical music got shut off quickly because its serious tones were depressing. Depression is a natural and common byproduct of chronic pain; thus, I didn't need music that induced it. The ones that built up to a fast crescendo were too fast to be relaxing, thanks to pain induced anxiety; which was another new condition that is a very common byproduct of chronic pain. As a result, pain had become so all consuming that it stripped me of even this simple joy; I went years without music in my life. I don't remember exactly when I found my joy in music again but I do know whom I have to thank for it. Introducing the phenomenally talented, renowned international musical composer "Niall" out of London! Niall's music is ethereal, breathtaking, and majestic. It connected me back to my soul and by default, the spirit of enjoying life's little pleasures once again. His CD "Earth Angels" is a terrific blend of multiple meditative tracks; some featuring the extremely talented vocalist "Heidi". If you are unfamiliar with Niall, do yourself a favor and click his link below. It contains free samples of his work; listen and learn which albums resonate deeply within your soul and you too will be swept away to a blissful place of peace and tranquility. Once you pick your music, you can purchase directly from his site link or if you prefer, iTunes or Amazon. I find that when I play his music in the car, I am a much more relaxed driver. I also play "Earth Angels" or "Total Serenity" while waiting to fall asleep and I do so much more quickly, peacefully, and naturally. I used to take a whole generic Ambien every night to fall asleep and stay asleep. When not in moderate to severe pain, thanks to Niall's music, prayer, and taking a combination of Valerian Root/Holy Basil/Rhodiola in the evening, I can get up to 3 months out of a 30 day Rx. If you need help learning how to calm your mind so that you can meditate fully, read the column to the right, for helpful hints. First, shut your phone off. What? Gasp! Oh my! Yes, you can do it; believe me, no one is that important...ditto your computer if that's what it takes to ensure a silent environment. Setting. Darken the lights, drop the blinds, light a candle, and if you have any, burn some incense. When I do group meditation, I always use vanilla or cinnamon incense sticks because who doesn't love the smell of baking cookies?! Comfort. Take off your shoes, loosen your tie, untuck your shirt, etc...if possible, lie down. If not, sitting is okay but take the pressure off of your lower back by propping your feet up on another chair if one is available. One of Spinal Trap's goals is to reinforce the importance of injury prevention. Thus, please realize that there is a chance that you can fall asleep so make sure if you are at home, you don't have anything cooking/baking which can burn and start a fire. Also, realize that if you roll over, you could fall out of the chair and be hurt. Breathing. Close your eyes, and take as deep of a breath through your nose as you are comfortably able, and then, slowly, blow it out for longer than you inhaled. As you blow out your breath, picture every single person or problem in your head or heart, going further away until they aren't even a dot on the horizon anymore. After you take several breaths, you should feel your body respond to the relaxation initiated by your deep breathing and the letting go of your stress. Please remember that if at any point, your mind wanders to something stressful, like your to do list, it's okay. Meditation, like anything well done, is an art form that takes practice. Simply resume your deep breathing exercises that are taught at the beginning of your guided meditation session and repeat its mental images in your head until you are once again, blissfully relaxed. Warning: If you have asthma, COPD, or any breathing challenges, please adjust the breathing exercises to suit your specific breathing abilities. You do not want to become dizzy and lightheaded. Please also skip holding your breath for a moment or two to avoid issues. As always, please check with your medical professional to ensure there are no contraindications (potentially harmful results) for your specific breathing and/or any health challenges as relates to meditation because this site, nor I, nor Niall, are liable in any capacity whatsoever for any negative results that may arise. I knew that Niall's music provides a wonderful and natural pain relief therapy; what I didn't know until I began researching this subject, is that there are actual board certified music therapists; because music therapy is a true and proven science! If you love music and want to help people reduce and eliminate their respective pain challenges by becoming a music therapist, click on the link below for the American Music Therapy Association to learn about the requirements. If you are a chronic pain person and wish to understand the myriad of supporting providers and articles that substantiate the science behind this healing art, they have a link for that too!